Our company has gained immense experience in the field of presenting Children Play Area Flooring. 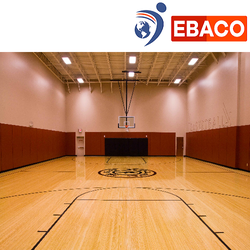 Our company has gained name and fame in presenting PVC Sports Flooring. Interlocking Flooring System available in two designs, several colours and ideal for most sports and activities. One may choose from the few preparations before installing, especially quick and easy when renovating old courts. These are available in two designs MULTISPORT or TENNIS. 4.5mm Bwf Approved Flooring Rs 120/per sq. ft.
We take pleasure in introducing ourselves as leading firm by offering Jogging Track Flooring.